316Ti Stainless Steel Male Adapter Suppling at Belgium, SS DIN 1.4571 Compression Tube Fittings Manufacturing at Tanzania, ASTM A182 Tube Fittings Manufacturer, Stainless Steel 316Ti Female Branch Tee Suppling at Indonesia, SS 316Ti Straight Union, Stainless Steel 316Ti Reducing Union, SS 316Ti Bulkhead Lock Nut Manufacturer & Stockist in Mumbai, India. Alpha Overseas supplies and manufactures SS 316Ti Compression Tube Fittings, which are also been exported internationally to several countries. Our Alloy 316Ti Tube Fittings are the second most commonly used stainless steel grades after 304 / 304L, being a higher version of 304, with addition of molybdenum and slightly higher content of nickel. Due to its titanium-stabilization, these Grade 316Ti Ferrule Fittings is weldable in all thickness ranges without becoming susceptible to intergranular corrosion. Our Type 316Ti Double Ferrule Fittings are highly desired in the market and are provided in different forms such as Round, coil, 'U' shape, square and rectangular. The role of the titanium alloy addition in these AISI 316Ti Ferrule Tube Fittings is discussed and is compared with the alternative low carbon 316 types. Our 316Ti Stainless Steel Compression Tube Fittings are more resistant to general corrosion and pitting / crevice corrosion than the conventional chromium-nickel austenitic stainless steels such as 304. Stainless Steel 316Ti Ferrule Fittings, SS UNS S31635 Double Ferrule Fittings Suppling at Germany, Stainless Steel 316Ti Ferrule Fittings Manufacturing at Morocco, SS 316Ti Union Tee, Stainless Steel 316Ti Male Connector Suppling at Philippines, SS 316Ti Female Elbow, SS 316Ti Bulkhead Union Supplier & Exporter in Mumbai India. These Stainless Steel UNS S31635 Compression Tube Fittings has better corrosion resistance at higher temperatures than 316 stainless, which further contains a small amount — typically only 0.5 % — of titanium. 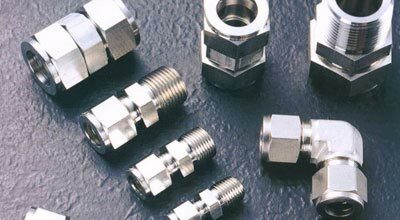 These Stainless Steel Din 1.4571 Tube Fittings is particularly apparent for pitting and crevice corrosion in chloride environments. While it still possesses many of the characteristics of other 316 grades, the addition of titanium allows these SS 316Ti Compression Fittings to be protected from precipitation at elevated temperatures, even with prolonged exposure. We are Exporter of Stainless Steel 316Ti Tube Fittings in Worldwide Such as Nigeria, Lebanon, Nigeria, South Africa, Jordan, Vietnam, Belgium, Australia, Netherlands, Puerto Rico, Chile, Hungary, Sweden, China, Ghana, Spain, Iran, Mexico, Canada, Portugal, Iraq, Kuwait, Estonia, South Korea, Yemen, Russia, Costa Rica, United Arab Emirates, Switzerland, Lithuania, Denmark, Thailand, Trinidad & Tobago,Tunisia, Bhutan, Azerbaijan, Poland, Croatia, Algeria, Bolivia, Macau, Ukraine, Pakistan, Mexico, Venezuela, Ireland, Greece, Saudi Arabia, Romania, India, Singapore, Peru, Slovakia, United Kingdom, Bahrain, Kenya, Italy, Argentina, Poland, Kazakhstan, Philippines, Japan, Czech Republic, Hong Kong, Namibia, Belarus, Ecuador, Afghanistan, Iran, Gambia, Finland, Colombia, Morocco, Indonesia, Norway, Brazil, Qatar, Nepal, Gabon, Austria, Serbia, Germany, New Zealand, Malaysia, Oman, Angola, Egypt, Bangladesh, Taiwan, Chile, Mongolia, Tibet, United States, France, Bulgaria, Turkey, Zimbabwe, Libya, Israel, Sri Lanka. 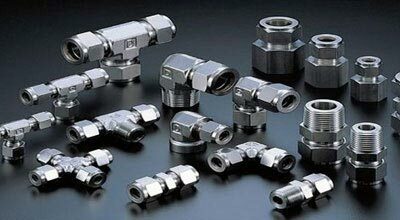 We are Suppliers of Stainless Steel 316Ti Compression Tube Fittings in India Such as Mexico City, Noida, Indore, Al Khobar, Petaling Jaya, Ho Chi Minh City, Faridabad, Los Angeles, Nagpur, Navi Mumbai, Port-of-Spain, Kuala Lumpur, Abu Dhabi, Rajkot, Pimpri-Chinchwad, Granada, Cairo, Gurgaon, Colombo, Ahmedabad, Istanbul, Brisbane, Courbevoie, Hanoi, Nashik, Atyrau, Muscat, Visakhapatnam, Chiyoda, Kanpur, Ulsan, Seoul, Baroda, Rio de Janeiro, Ernakulam, Tehran, Edmonton, Coimbatore, Lahore, Manama, Pune, Madrid, Jamshedpur, Singapore, Hong Kong, Houston, New York, Bogota, Ranchi, Dammam, Sharjah, Vadodara, Geoje-si, Al Jubail, Thane, Mumbai, Calgary, Bhopal, Gimhae-si, Ankara, Vung Tau, Bangkok, Doha, Haryana, Sydney, Bengaluru, Lagos, Ahvaz, Montreal, New Delhi, Jakarta, Dallas, Melbourne, Surat, Moscow, Karachi, Chandigarh, Jeddah, Perth, Milan, Howrah, London, Kuwait City, Algiers, Aberdeen, La Victoria, Dubai, Busan, Hyderabad, Toronto, Riyadh, Caracas, Jaipur, Santiago, Ludhiana, Kolkata, Thiruvananthapuram, Secunderabad, Chennai.